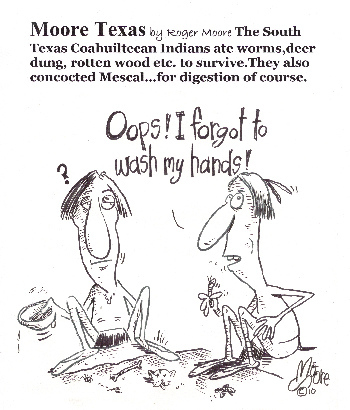 Coahuiltecan Indians; Texas History Cartoon. The South Texas Coahuitecan Indians ate worms, deer dung, rotten wood etc. to survive. They also concocted Mescal... for digestion of course.